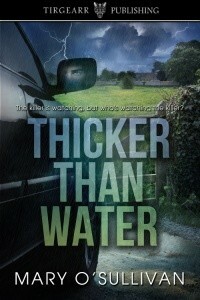 I’m delighted to welcome Mary O’Sullivan to my site today as part of a Blog Tour to celebrate the release of her brand new novel, Thicker Than Water. The cover was shiny hardboard, red, measuring twelve by eight inches. On it was depicted a woodland scene with towering trees , bluebells , sun rays slanting through branches, Red Riding Hood skipping along , and the evil wolf peeping from behind a tree trunk. When I opened the first page, a kitchen popped up. It was a cosy scene, Red Riding Hood packing a basket of goodies to bring through the woods to her Gran. The four year old me felt I was walking into that kitchen and onwards through the woods, as page after page popped up and invited me in. Yes, I was afraid of the Big Bad Wolf – I still am – but my pop-up fairy tale book introduced me to everything that is magic about reading. Maybe you read factual books to inform yourself. Tracts and theses on everything from the half-life of Uranium 238 to the feeding habits of the lesser spotted dogfish. Or self-help books to improve the quality of your life. Or perhaps biographies and autobiographies to examine the lives of the rich and famous. I do too, but my passion is fiction. I read to escape. Not that my life is so awful I need a respite from it, but books can bring you to places you would never otherwise visit and into situations totally outside your experience. You and the author of the fictional work form a pact as soon as you read the blurb on the cover and decide you need to know more. You travel the fictional journey together, from page one through to the end. I have taken that road with many authors since I began reading. Some I have forgotten, some disliked and some I have loved so much I have read them again and again. What a difficult task it is to say which books of the hundreds I have read, I liked best. The World According to Garp by John Irving always comes to the top of the pile when I think of works of fiction which have had a big influence on me. The main character in the book, TS Garp, had a very unusual upbringing. His mother wanted a child, but not a husband. She chose a brain-damaged soldier as the sperm donor. The only word this soldier could say was Garp so that is what she named her child. A radical feminist, she worked as nurse in an all-boys school. As he grew, Garp developed a love for wrestling, writing and Helen, the wrestling coach’s daughter. While he struggled with his writing his mother penned a novella which became a bestseller and made her a feminist icon. Garp continued to write and look after his sons while his wife went out to work. There you have a bare outline of the story, which goes nowhere near describing how brilliantly Irving carves the characters out of beautiful prose. He sculpted such unique people – Garp himself, Jenny, his mother, Roberta Muldoon, the transsexual ex-football player. What I learned from this novel was that acceptance of difference in others enriches life. I also learned never to take life or love for granted. There will be no spoilers here but the ending of this novel shook me to the core. I have re-read the book five times and yet I get emotionally swept up in the ending every time. The World According To Garp is also a film (1982) starring Robin Williams, whom I thought was brilliant in the role, even though he did not match the mental image I had forged of Garp. After that comes A Confederacy Of Dunces by John Kennedy Toole – one of the funniest books I ever read. For humour I would put it up there with P.G. Wodehouse’s Jeeves and Wooster ;Somerville And Ross , Experiences Of An Irish RM. ; All Creatures Great And Small by James Herriot (Alf Wight). Humour is particularly subjective but these books always make me laugh. They take a poke at pretention and that I enjoy. Confederacy of Dunces is as entertaining as the others – in fact the main character Ignatius J Reilly , a lazy , unemployed thirty year old , an intellectual snob, still living with his mother but yet imbued with a totally overblown confidence in his own genius , is a fantastic comic creation . It is the real life story of Ignatius’ creator, John Kennedy Toole which makes this book very special to me. Confederacy Of Dunces was published in 1980 – eleven years after the author’s suicide. O Toole had submitted his manuscript to many publishers and was rejected by all. Who is to say that those rejections led to his suicide, but at 31 years of age he took his own life. The book was eventually published through his mother’s perseverance and with the help of Walker Percy, a tutor at Loyola University. It won a Pulitzer Prize for fiction 1981. Such a tragedy that John Kennedy Toole wasn’t there to reap the rewards. I think of him when I get rejections and remind myself that while things might look bleak now, good luck might be just a breath away. An interesting fact is that several attempts have been made to adapt the book for film – all of which have ended in tragedy, leading people to think the book/film is ‘cursed’. Given my own superstitious nature, I suspect that John Kennedy Toole does not want his book adapted and is influencing the outcome from beyond —-maybe. That is just the tip of my book list. There are all the Dicken’s books , especially Great Expectations ; Jane Austen from Sense And Sensibility through to Northanger Abbey; Wuthering Heights by Emily Bronte – I fell in love with Heathcliff at ten years old and I still feel the same ; the novels of Walter Macken , Leon Uris , Beatrice Coogan ; the short stories of Frank O’Connor ; the poetry of Ogden Nash and Wilfred Owen. And on and on—. I am so grateful to my parents who gave me the gift of reading appreciation and to the authors with whom my reading journey continues and who never, ever fail to entertain, uplift and facilitate my glorious escape from the routine of daily life. 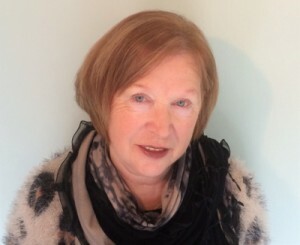 Many thanks for such a fabulous blog!